Mitigator Sting and Bite Treatment Scrub | BUDK.com - Knives & Swords At The Lowest Prices! 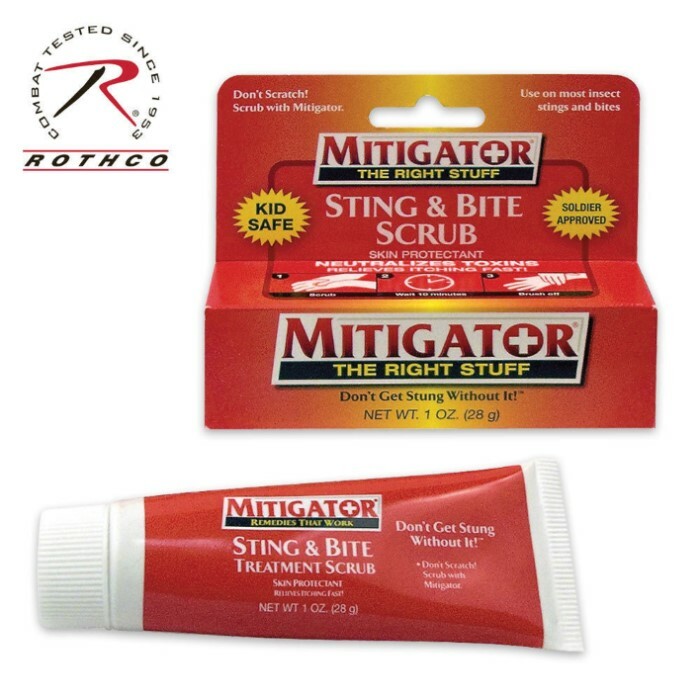 Be prepared for any insect attack with this Sting and Bite Treatment Scrub by Mitigator. It relieves painful bites and stings by quickly neutralizing the harsh toxins which cause trauma, pain, and itching, and is effective against fire ants, mosquitoes, bees and wasps, jellyfish, chiggers, fleas, ticks, and most other biting and stinging insects. This product has an EIGHT year shelf life! Made in the USA.